We looked for somewhere new to explore during Spring Break this year. 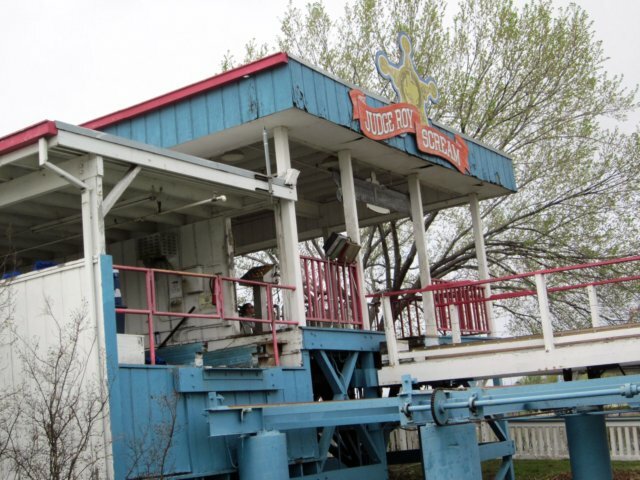 Since we are amusement park aficionados, it needed to include something fun and exciting. Most places up north are still in Winter hibernation mode so a natural course of action was to look out west, with Texas being our final choice. We left early afternoon on Thursday for the short 1,075 mile drive from Charlotte, North Carolina to Dallas, Texas. After a short rest stop for a few hours in western Georgia, we continued west on I-20. 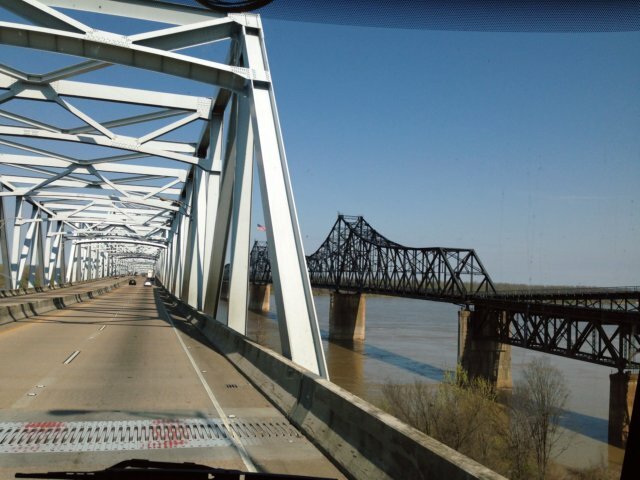 In the early morning hours of Friday as we crossed into Mississippi, some good Samaritans flagged us down and let us know there was a problem with our car that we tow behind the motor home. I pulled over and sure enough we had a blow-out and ended up losing the entire tire. 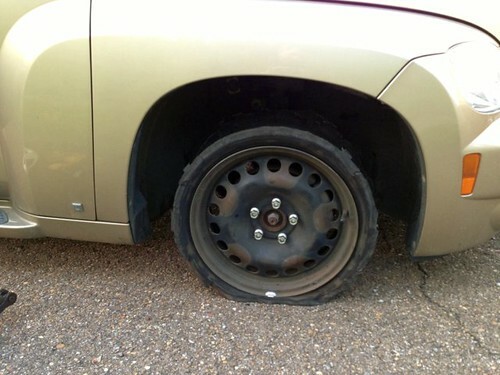 I was able to put the donut spare on and limp to a tire store. All in all, we only lost about an hour which isn’t bad. This is our first problem in over 30,000 miles of towing our car but we will be sure to start carrying a full size spare in the future. Speaking of Mississippi, here’s us crossing the Mississippi River that borders Mississippi and Louisiana. 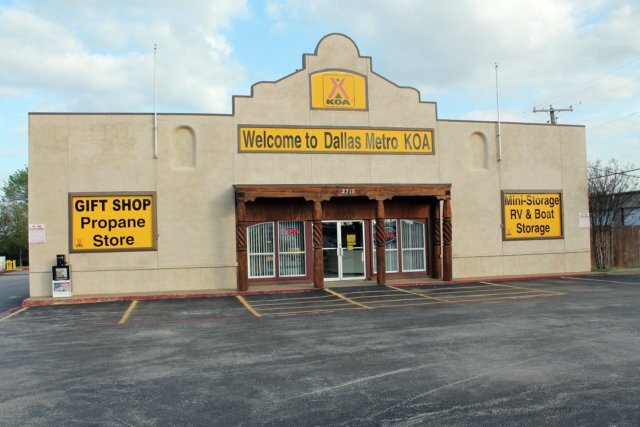 In late afternoon on Friday, we made it to our base camp for the first couple of days, the Dallas Metro KOA located in Arlington, Texas. This is a nice KOA located in the metropolis area. You can check out more pictures of the campground here. Our primary stop in Dallas was Six Flags Over Texas, an amusement park themed around all things Texas. 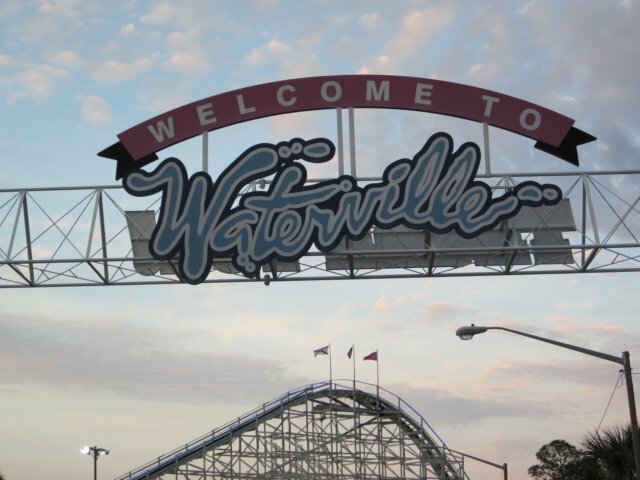 This is a nice amusement park with lots to do although we did find the layout of the park quite confusing. We were often stuck at the end of a walkway ‘spur’ and had to figure out how to get to the next area we wanted to. 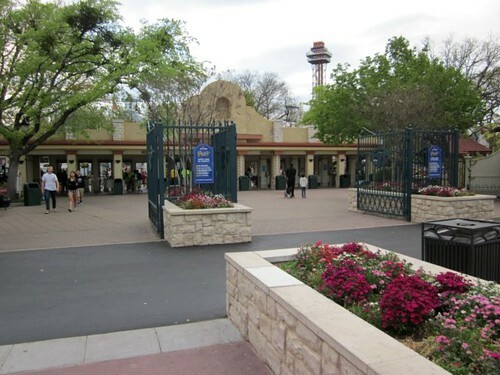 For those of you who like trivia, Six Flags Over Texas is the first Six Flags park. Our favorite roller coaster here was the New Texas Giant, the first of its kind hybrid coaster in the world. It packs a great combination of positive, negative, and lateral G-forces that keep pace through the entire ride. 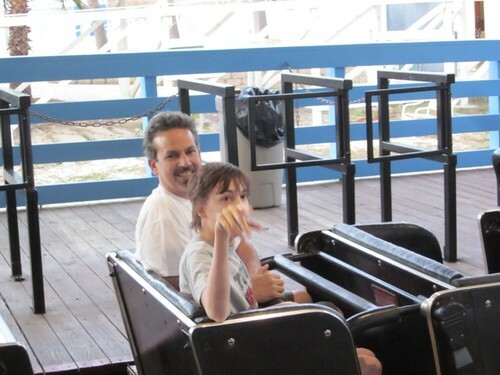 Even our special needs son, Jeffrey, really enjoyed this ride as it wasn’t overly aggressive. Titan is also an impressive coaster although it was more aggressive than Texas Giant and I’m the only one who seemed to truly appreciate it. In our travels we tend to come across a lot of the same kinds of roller coasters. We appreciated the nice mix that Six Flags Over Texas has including the reverse launched coaster, Mr. Freeze Reverse Blast. I was pleasantly surprised with how much I liked this coaster since I was originally not looking forward to riding it. 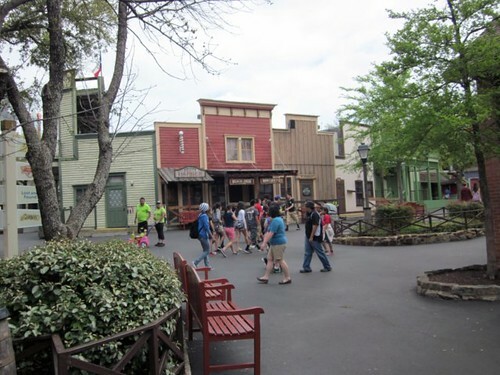 Although I don’t consider Six Flags Over Texas to be a theme park, it is by far the most themed of any of the Six Flags parks we have visited to date. There are lots of nice touches throughout the park that remind you of Texas. For the most part, Six Flags Over Texas is a clean, family friendly park although there are a few areas that could use some TLC. For more pictures and comments about Six Flags Over Texas, click here. Early Easter morning, we packed up and headed south for a short five hour drive to San Antonio, Texas, our next stop on this adventure-filled trip. Our base camp for this stop was at Admiralty RV Resort. Reviews prior to our trip were quite negative noting management was strict with their rules. We didn’t have any issues with the campground management and found it to be a well maintained campground. 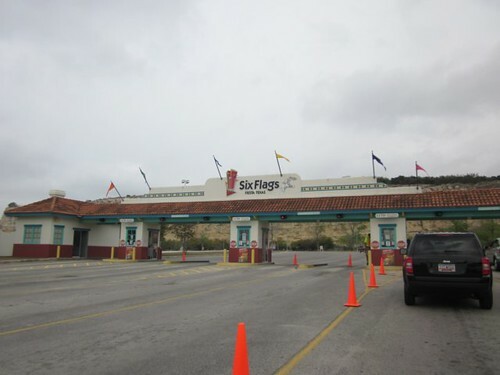 After checking in and setting up camp, we loaded up and headed over to Six Flags Fiesta Texas. This park has a predominant southwest theme with a layout that is much easier to navigate than Six Flags Over Texas. Another point of trivia: this is a newer park having only been around since 1990. I’ve ridden the indoor launched Flight of Fear coasters built by Premier Rides and haven’t been overly impressed with them. I must say that I did like Poltergeist, an apparent cousin to those coasters. 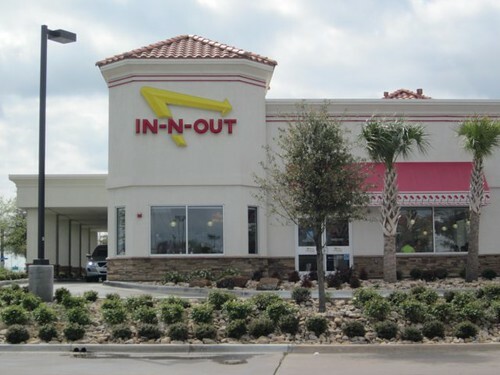 It is very similar except it is outside instead of inside. That enables me to see what’s coming up and brace accordingly. You can see what looks like a mess of intertwined track and can imagine how easy this is to fit into a large building. We liked the nice touch of a boardwalk area at the back of the park although it was difficult to navigate a wheel chair through with the uneven footing of the wood deck. 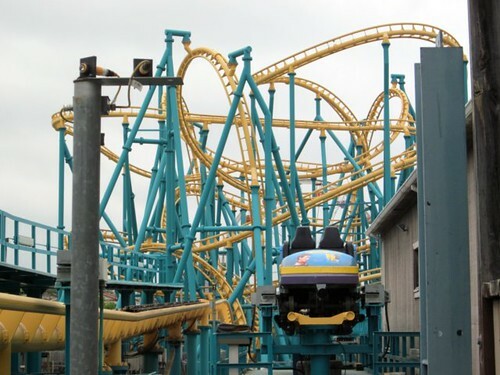 I don’t know if it was because it was Easter Sunday or what, but other than one instance of a ride supervisor being extremely helpful to us, most of the staff was subdued. My daughter noticed that for two rides we experienced, the operators didn’t say a single word, not even any safety warnings. In my opinion, the premier roller coaster at Six Flags Fiesta Texas is Superman, a floorless coaster. While my son isn’t keen to loops, this was gentle enough that he enjoyed the ride. 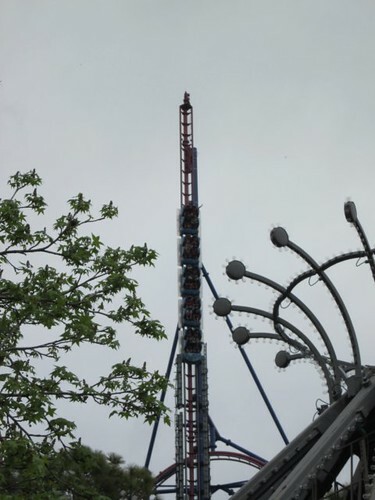 I took the chance and took him on the coaster with the knowledge that floorless coasters tend to be less aggressive than many other steel coasters. It paid off as that was the case with this coaster. 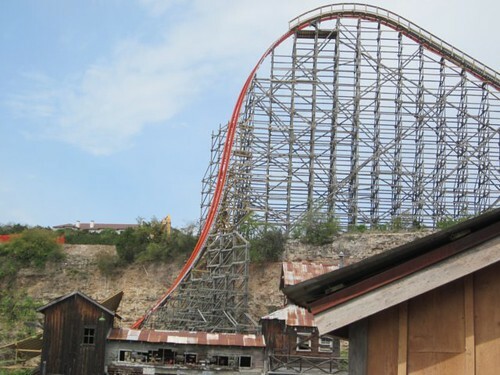 Iron Rattler is sure to be the premier roller coaster when it debuts this spring. 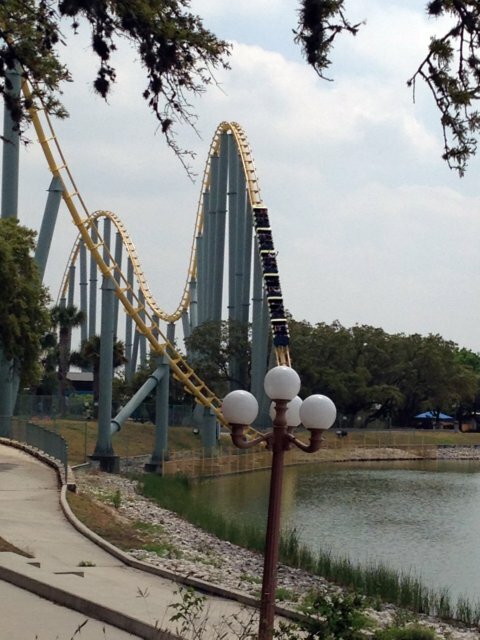 It is the second hybrid coaster in the world with more impressive stats than the New Texas Giant that we rode the previous day. Unfortunately it wasn’t open during our trip which we knew beforehand. I was surprised to see workers working on the landscape around it and I also saw one walking the track. All in all, our day was pleasant for the entire family and we found the park to be well maintained and clean. Our time schedule prevented us from seeing any of the shows which I have heard are quite good. We’ll be sure to check some out when we come back for Iron Rattler. 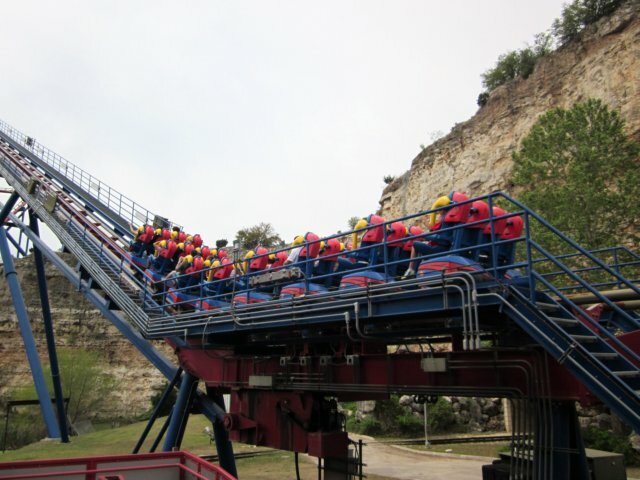 Please click here for more pictures and comments of our trip to Six Flags Fiesta Texas. I’ve heard some of my friends talk about In-N-Out burger. 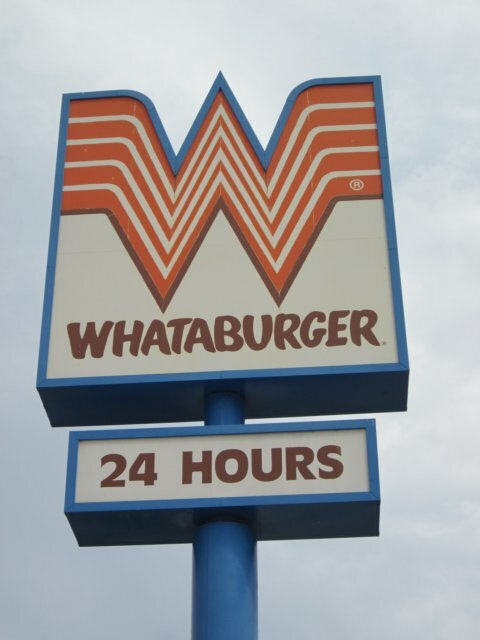 We saw one in Dallas but the minimal menu didn’t pique any of our interests so we passed on it. 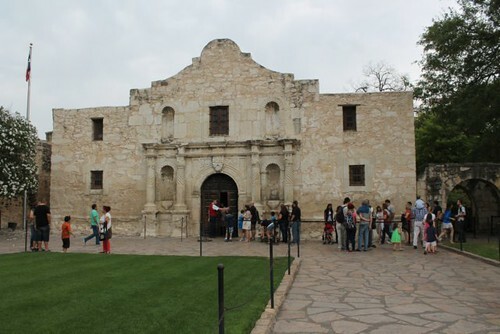 Next we headed to downtown San Antonio to see the Alamo and pay our respects to all the people who lost their lives there in the early 1800s. Here’s our collection of photos from the area including the beautiful gardens that are well maintained inside the complex. 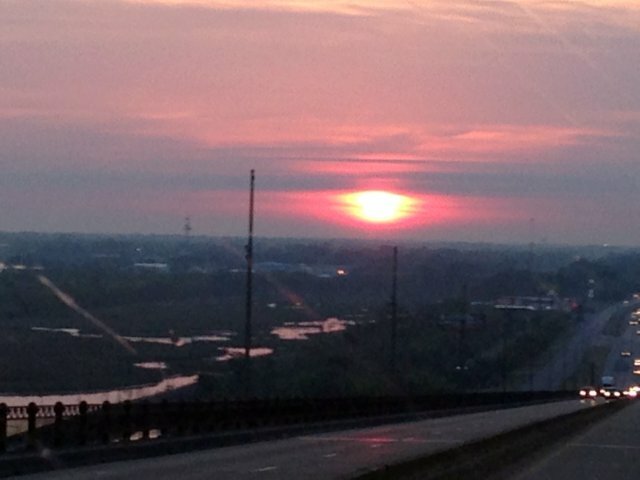 After a good night’s sleep that came quick and easy, we awoke to a warm and beautiful Monday. 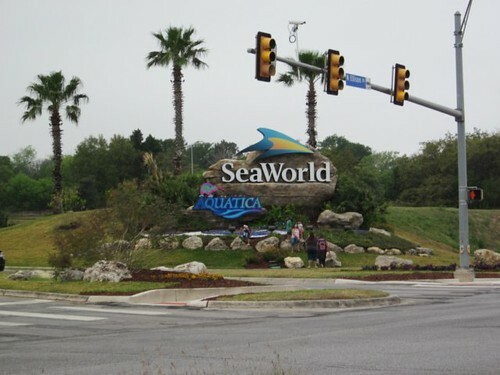 Our next stop was SeaWorld San Antonio, a short 1 mile drive from our campground. 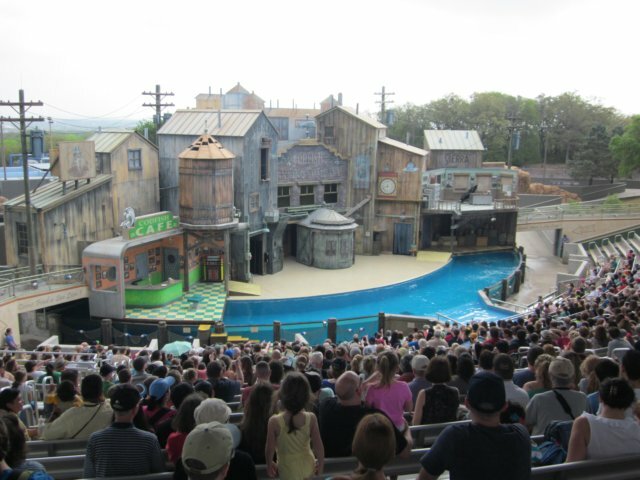 SeaWorld has evolved over the years to include some great shows with their marine life as well as a small collection of thrill rides, providing something for everybody. 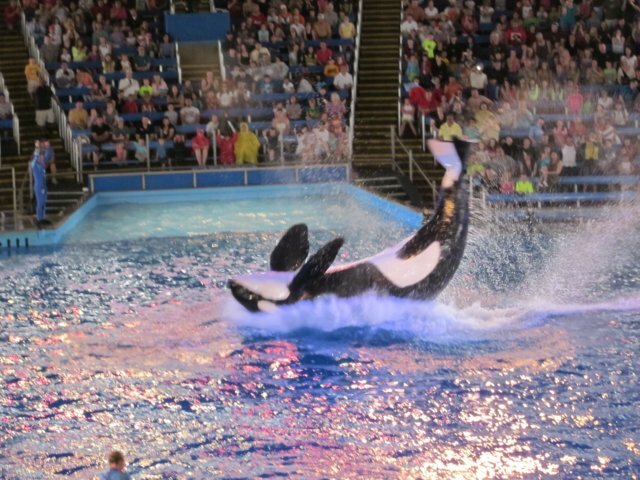 You can’t mention SeaWorld with thinking of the iconic Shamu. Did I mention thrill rides? 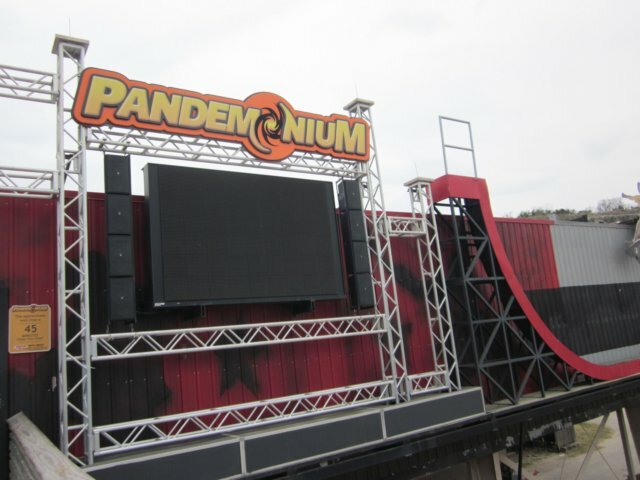 They have some thrill rides to keep your blood pumping between shows. 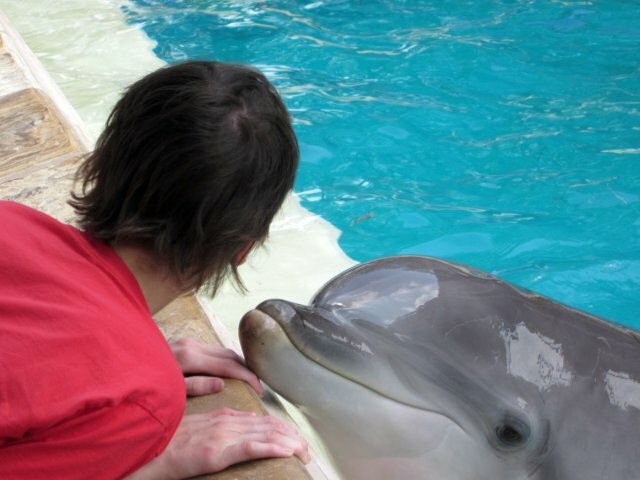 While we were there, we took the opportunity to feed the dolphins as Sherri loves seeing the dolphins. This enabled us to get up close to them and was an iconic moment for the entire family. We had a great day at SeaWorld. Be sure to check out the rest of our pictures and comments here. Our trip was coming to a close with 1,200 miles until we were back home. We pulled out late afternoon on Monday and headed towards the Texas border for some rest before continuing on our journey. This is also where we experienced our second casualty of the trip when I left the locking gas cap to our motor home at the fuel pump. After taking off the next morning we got to enjoy a beautiful sunrise over Louisiana. Our next stop was scheduled to be a quick one at Waterville USA in Gulf Shores, AL. However we arrived to find the Cannonball Run wooden coaster down. 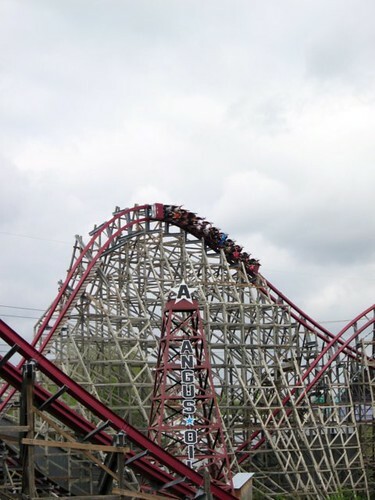 Fortunately they had the part on order and expected it in that afternoon so the coaster could be fixed and running by that evening. So, our short 2 hour stop turned into an overnight stop. 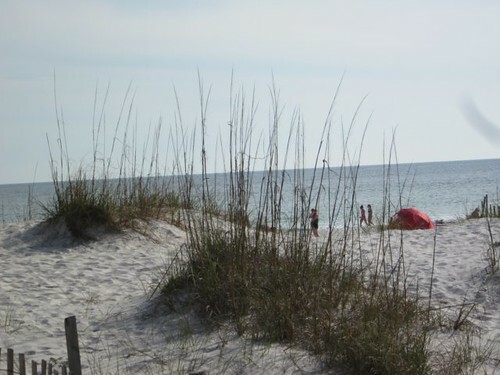 We got a campsite at the nearby Gulf Shores State Park close to the beautiful white sandy beaches of the Gulf of Mexico. After a filling dinner, we headed back to Waterville USA and were pleased to see that the Cannonball Run was indeed running. After a couple of laps on this CCI woody, we headed back to our campsite for more rest before our final 620 mile trek home. 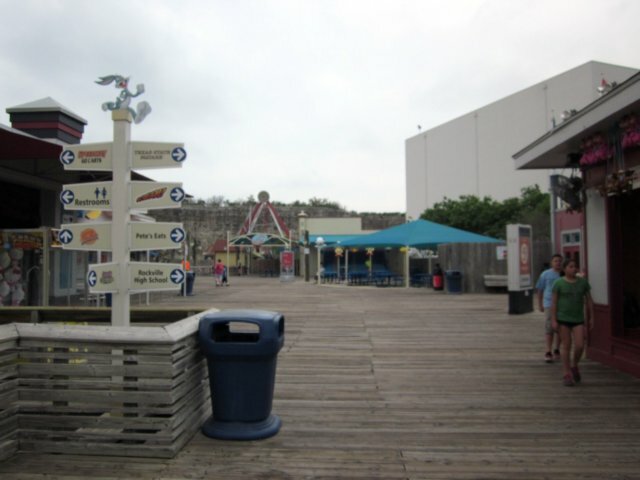 Here are more pictures of our short stay in Gulf Shores, Alabama. Our power road trip was over after nearly 2,900 miles covering 7 states in 6 days. We had a great time and hope you enjoy reading about our trip and checking out some of our pictures. Tagged AL, SeaWorld, SFFT, SFOT, Six Flags, TX.